Ep. 020 Can your Right Brain help you organize your stash? 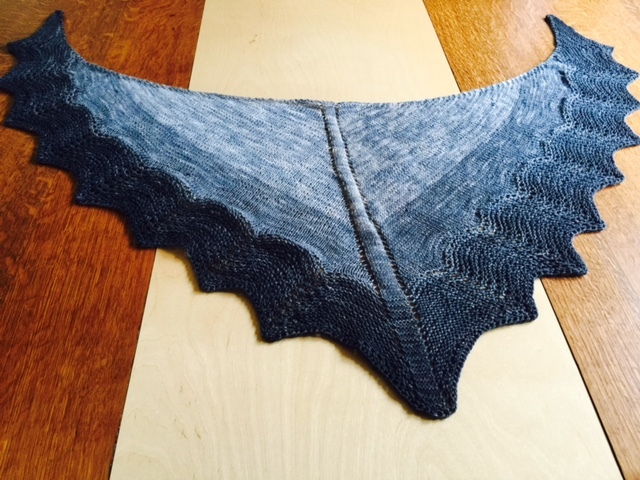 Margaret has learned a lot from her Charcoal Multnomah Shawl by Kate Ray including that “old Shale” and “Feather and Fan” are different patterns reported by Northern Lace. There are also at least seven variations of feather and fan according to Angel Fire. Margaret liked Mariann Nahl’s “Fast and Easy continental Knit and Purl” video. 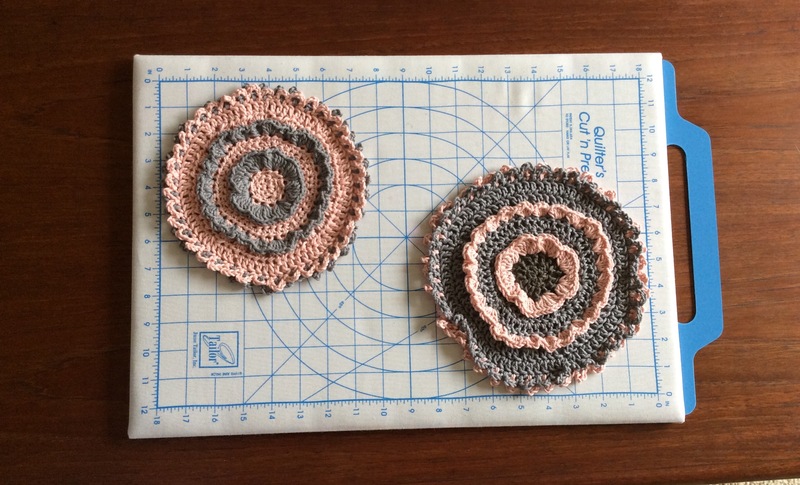 Catherine noticed that her tension for her fourth “Misty Rose” dishcloth by Kim Cameron was much looser and therefore a full one inch larger than her first. She got it back down to the original size when she started focusing again on dishcloth #5. She is also working on “Among the Wildflowers” by Sasha Ball Rives. 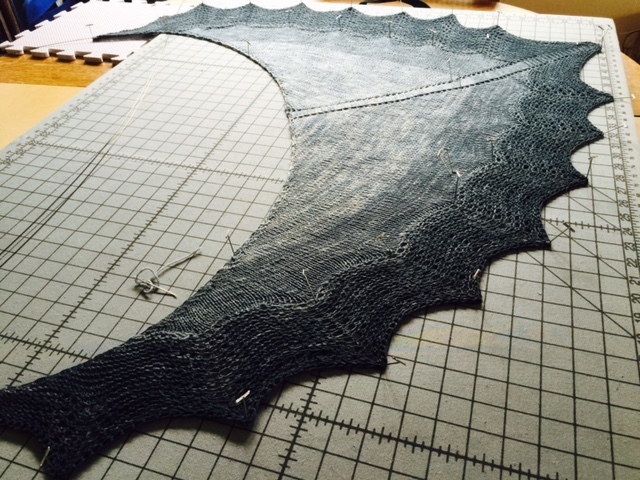 Northcoast Knittery has worked up this pattern in a number of different yarns shown here. Brainy Thing: Can your Right Brain help you organize your stash? Margaret revisits the Right and Left Brain theory and mentions the neuroscientist Jill Bolte Taylor whose Ted Talk chronicles her experience of having a stroke in the left side of her brain. She also talks about Corothy Lehmkuhl’s and Dolores Cotter Lamping’s book Organizing for the Creative Person which offers understanding of different styles of right-brain dominant and left-brain dominant people. 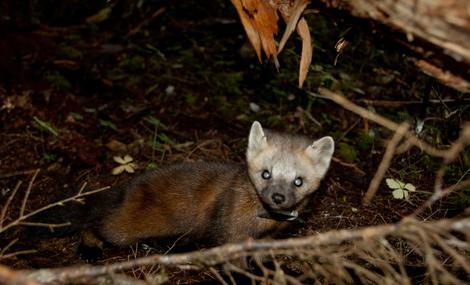 Catherine discusses the Humboldt Marten, a weasel that controls rats and mice, but that is severely diminished in numbers. We correct our previous tip that using larger needles will make a stretchier cast-on when using the long tail cast on (Thank you, Paula, from Knitting Pipeline). Catherine offers the tip that if you know you’re going to have a stressful day, you might want to begin it with a few minutes of knitting to reap the calming effects. The Learn-along ends August 1. 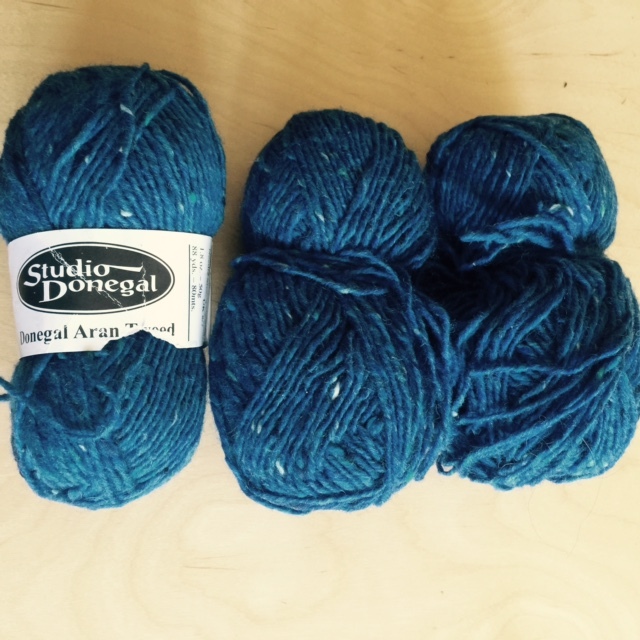 The randomly selected prize will be three skeins of Studio Donegal , a real Irish Donegal tweed, 88 yards each in a dk weight. The next incentive prize for joining our Ravelry group for members 301 to 400 is a skein of Fiesta Rayon Boucle yarn in the Catalina colorway. 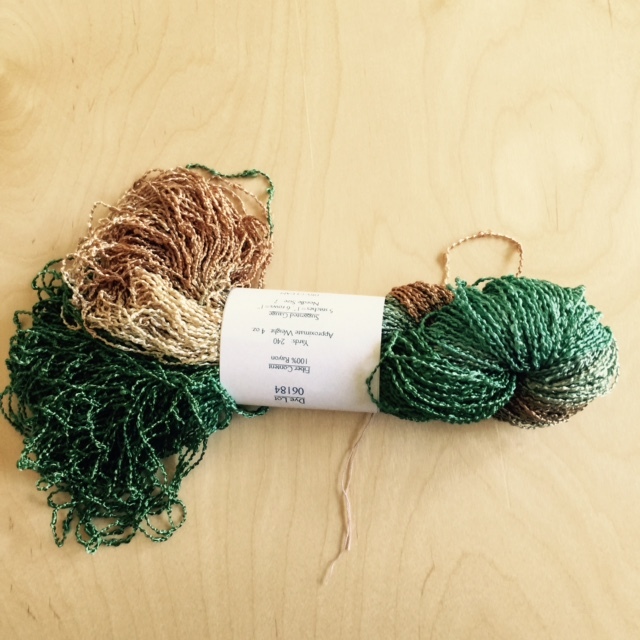 The 240 yards are enough to make an airy summer wrap.